Pictured is one of three hands free water fountains at Emerson Elementary School. Hands free cuts down on the spread of germs and saves the disposal of plastic water bottles in the landfill. 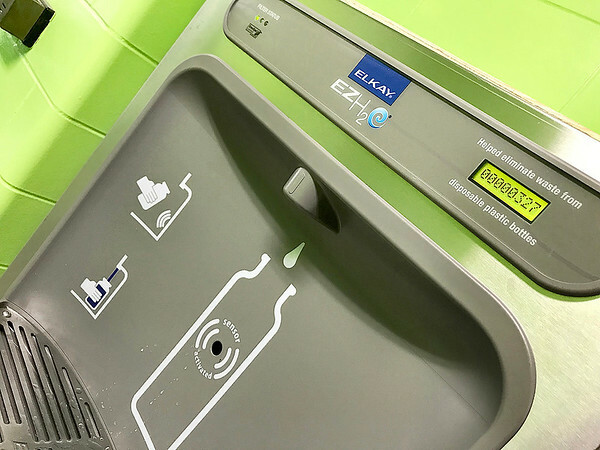 In the short period of time the new fountains have been installed, this fountain has limited the disposal of 327 plastic water bottles into the trash.